What is Tempromandibular Joint (TMJ) Syndrome? The lower jaw is connected to the skull through the Tempromandibular Joints. These joints are responsible for the movement of the lower jaw in all directions including side to side and forward & backward movements. Any issue that prevents or discourages the proper movement of the lower jaw is part of the broad category of Tempromandibular Joint Syndrome. Typically, the symptoms of TMJ do not last for extended periods of time and can be treated with self care or non surgical dental treatments. 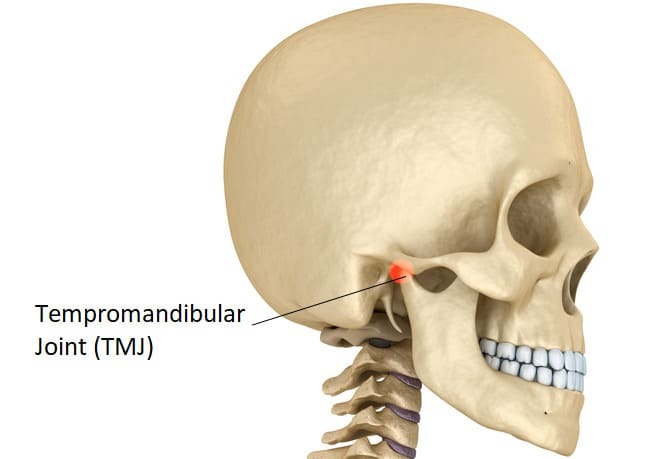 The TMJ is an incredibly complex system of muscles, blood vessels, and bone which can make the exact cause of Tempromandibular disorders (TMD) hard to pinpoint because the symptoms exhibited could be attributed to a large number of factors that influence the workings of the TMJ. Get help with TMD today for this common dental problem from an Oxnard dentist with over 45 years of experience at Carson & Carson, DDS. Experienced dental care is just a call away (805) 983-0717. Depending on the severity of disorder of these joints, you can experience all or just a few of these symptoms. It should also be noted that many of these symptoms may also be caused by other dental or medical issues unrelated to TMD, and you should visit your dentist to narrow down the potential causes. TMJ Syndrome is often the result from a large number of factors and the underlying cause is not always possible to determine. It is not always clear if these issues are directly causing TMJ syndrome or are a result of its damage. Bruxism or teeth grinding – Bruxism is a habit that involves the grinding of teeth together and contractions of the lower jaw muscles. The excess exercise of the lower jaw muscles can make them larger and cause irritation and swelling around the Tempromandibular Joints which can lead to TMJ Syndrome. Stress or anxiety can lead to bruxism which can then lead to TMJ syndrome. Arthritis – The Tempromandibular Joints can suffer from arthritis just like any other joint in the body. This disease causes progressive loss of cartilage around the TMJ and prevents the formation of new bone at the joint surface. Arthritis can cause consistent inflammation, pain, and erosion of the bone in these complex joints. Trauma to the jaw – Depending on the severity, trauma to the face or jaw can cause harsh TMD symptoms. Trauma from whiplash or a strong blow to the head can irritate the Tempromandibular Joints or misalign the jaw to a degree that can cause TMJ Syndrome. Malocclusion (misalignment) of teeth or jaw – Having a misaligned jaw or teeth can cause many issues for your dental health including TMJ syndrome. Bad posture – Not sitting up straight can cause a shifting in the way that your jaw falls and may cause symptoms of TMD over time. Oral Cancer – Aside from being life threatening, certain types of oral cancer can affect the functionality of your lower jaw and cause symptoms of TMJ Syndrome. Joint Infection – Infections can occur of the Tempromandibular Joints which can be serious and lead to symptoms of TMJ Syndrome. We treat many cases of TMJ Disorders ever year, and have done so for the past 45 years that we have been practicing dentistry in Oxnard, California. The difficulty in assessing TMJ Syndrome lies in the fact that many of the characteristic symptoms can be caused by a variety of dental issues. When diagnosing your jaw problem, we conduct a thorough examination of your neck, head, face, and jaw and take note of anything that is off such as: tenderness or pain, clicking or popping sounds, difficulty in opening/closing of the jaw, or malocclusion (misalignment) of the teeth or lower jaw. We may also take a dental CT scan to get more detail on the condition of the TMJ discs and bones as you bite. Depending on the underlying cause of your pain or discomfort, there are many different forms of treatment for TMJ syndrome. These treatments can involve simple fixes such as taking pain medication, or general lifestyle changes such as eating softer foods or avoiding stress until the symptoms have cleared up. 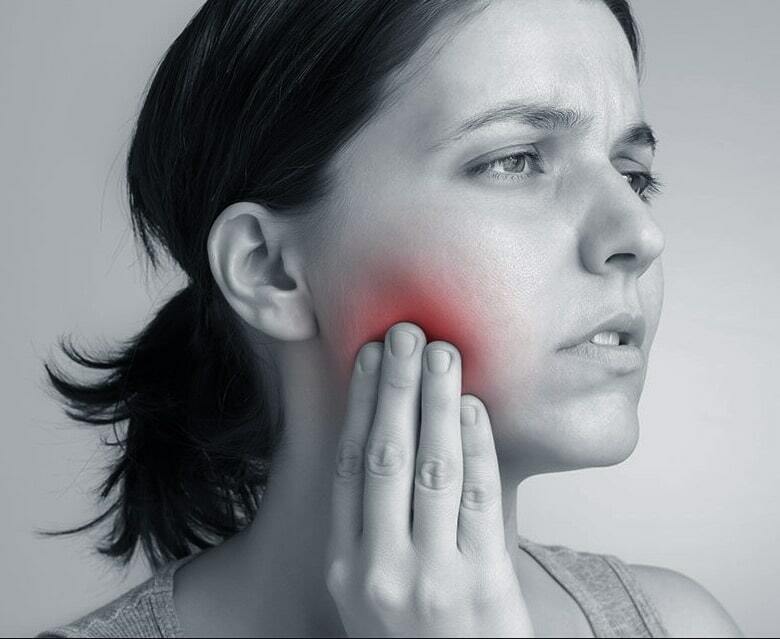 Over-The-Counter Pain Relievers – Medications that treat swelling and pain may help treat the symptoms of TMJ Syndrome. NSAID’s such as aspirin and ibuprofen help to relieve pain by reducing the amount of inflammation in the Tempromandibular Joint. DO NOT take aspirin if you are already bleeding as it is a blood thinner and may worsen the severity of the situation. Apply Ice & Heat – Ice can be pressed against your TMJ for 10-15 minutes at a time to reduce the swelling, and heat an be applied to help improve jaw function and reduce the pain experienced. Eat Soft Foods – Give your jaw a break from the strenuous activity of daily chewing by eating softer foods for a few days. Avoid taking large bites and foods that require your jaw to be opened wide. Relaxation Techniques – Bruxism is a common cause of TMJ disorders and can be caused by things like stress or frustration. Learning to consistently relax the muscles of your jaw and keeping your teeth from grinding or clenching together can be a big step in preventing future symptoms of TMJ Syndrome. 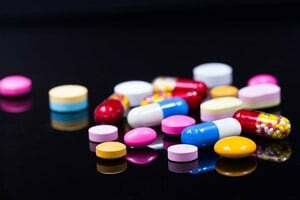 Prescription Medications – Your dentist may prescribe a prescription strength pain reliever or muscle relaxer to help ease your symptoms and to aid the process of healing. Orthodontics or Restorative Work – To fix TMD caused by malocclusion or improper contact between teeth, your dentist may suggest treatment that involves: braces or Invisalign to correct your bite, dental implants to replace missing teeth, or crowns to restore the function of damaged teeth. Night or Splint Guard – We sometimes use plastic guards called night guards or splint guards in the treatment of TMD symptoms. These guards are either worn all the time or only at night to help ensure that your teeth are not rubbing against each other and to help correct your bite by aligning your jaw and teeth in a better resting position. Get professional help today for your TMJ pain from a dentist with over 45 years of experience at Carson & Carson, DDS in Oxnard, California. Find affordable dental services and friendly dental staff at our locations in Oxnard and Camarillo today. Our offices are equipped with state of the art technologies so that we may better help you achieve a lifetime of brighter smiles and pain free visits to the dentist. We are also proud to offer 24/7 availability for those experiencing dental emergencies. Give us a call today for a brigher smile tomorrow (805) 983-0717.